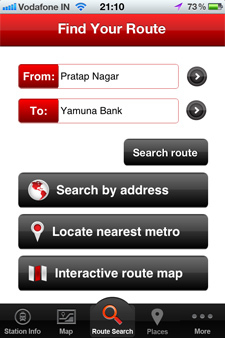 “Delhi-NCR Metro App” by FINOIT is an effort to append convenience and flexibility to National/International tourists and proud Delhiites by providing essential information related to Delhi Metro System. 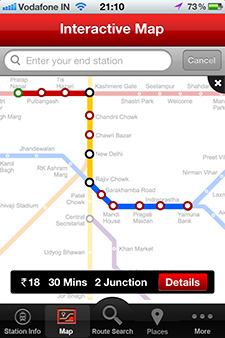 It is an offline application, which once installed, provides all the information of Delhi Metro. 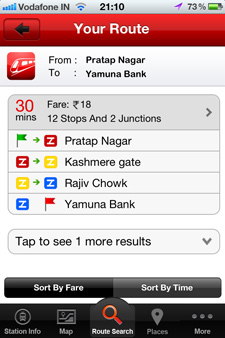 It has been designed with a very user centric approach and with some of the most updated features like “Route search”, “search by location”, “search by address”, interactive metro map, Google map, line information, detailed information of individual stations and it also includes recently updated stations and respective fare information. © 2012 Delhi-NCR Metro. All Rights Reserved.